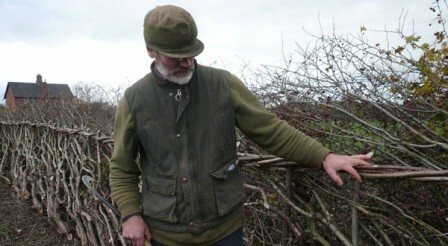 Many coppice workers can provide a professional hedge laying service. Using the coppice products they harvest allows them to be competitive and ensure raw materials are sourced locally. There are different regional hedge laying patterns and your local coppice worker will be familiar with the appropriate style within your area.